Connecting the east facade of the Neues Museum to the Altes Museum is the colonnade courtyard designed by Karl Friedrich Schinkel. 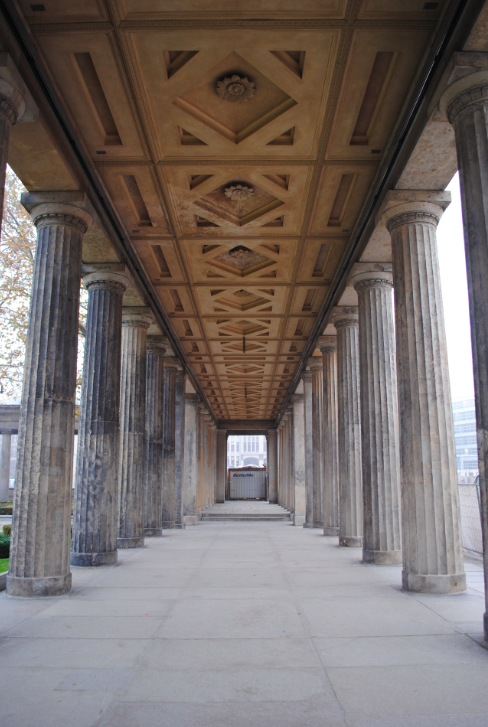 The classical colonnade is of a similar design to Schinkel’s monumental entrance portico of the Altes Museum. The courtyard is an open public space and the gardens have been designed by the landscape architects Levin Monsigny.